Charming libra is likeable and joyful! Libra is a positive zodiac sign (sign ♎). Predominantly positive characteristics are shown. 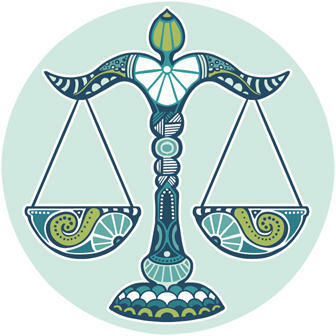 Libra is subordinated to Venus, so the sign represents a charming, likable, understanding and artistic side of personality. Goethe’s demand "to be noble, helpful and good" seems to fit for this zodiac sign. Libra women have a brightness from inside that reveals their inner beauty. Libra reflects inner peace and warmth – so it is written in Libras face as well. Libra persons like to be in conviviality, and they are liked. Their intuition and expertise help them to comprehend each situation. Libras have a good perception, powers of deduction and good rhetoric. Male Libra could appear arrogant because of his sense of sublime – in fact, that obstructs teamwork spirit. There is no good team spirit when someone – a Libra – intends to disturb by a superfluity of critiques and comments. But when they come to know about their behavior, they change their behavior and are interested in avoiding trouble and distress. Sometimes they suffer from distress and become melancholic because they prefer harmony in life and at work as well. Their will to impose is strong – but not strong enough to carry out. In fact, they try to use their intuition by acting in a diplomatic and smart way. Guided by the talent of observation, they can handle crucial situations. Libra persons devote themselves to beauty, sublime and harmony. They are looking for a relationship to similar persons – maybe their devotion does not appear or become strong enough, so profound connection unfortunately fails. They have a keen sense of justice. Isolation is not okay for them – they need interpersonal warmth. Their desire to gain recognition concerning his social status is strong – when it is missed they become hurt and retire. Finally, it is to be said, Libras are predominantly likable, convivial and gentle coevals. beautiful, modest, friendly, affectionate, jovial, optimistic, fair, helpful, idealistic and devoted. careless, easy to be influenced, extravagant, quirky, idle, wasteful, changeable, moody and helpless.